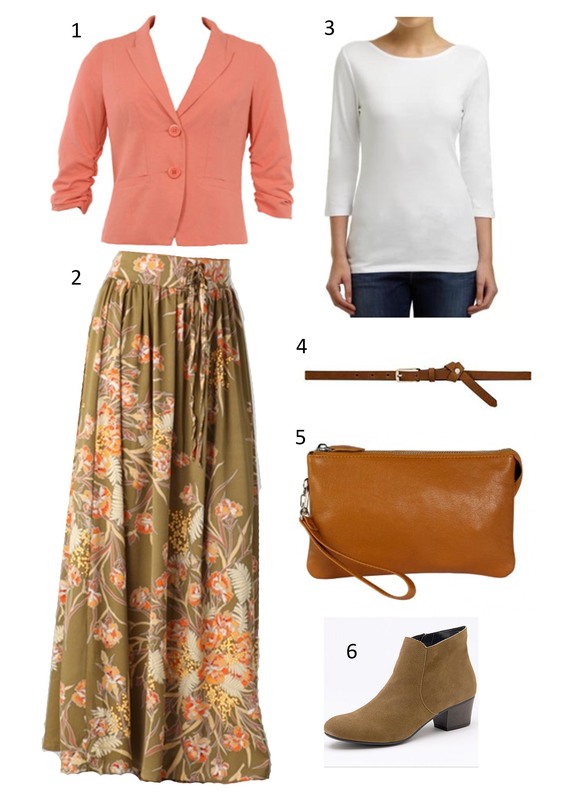 Ok, so this outfit is totally inspired by Nina Proudman (Asher Keddie – my girl crush). I am obsessed with trying to find the perfect maxi skirt and I think this one is the closest to being my favourite – in fact, I might just purchase it and be done with it. I used to wear floral maxi skirts way back in the 90s and I am just amazed that they are back in fashion – in my head they have always just stayed in fashion. What do you think? Do you love a pretty maxi skirt? Love love all that especially the skirt and clutch. I also love love love Nina, I was in tears yesterday morning watching offspring and again last night when I made Toby watch it too! She needs to win a Gold Logie for her drunk performance!! I would like to know why you make Toby watch it with you? Is this normal behaviour at your household?? I decided against it Mel- I actually wasn’t convinced it as worth the $120- not lined, polyester. After in depth discussions with my mother, I’m going to attempt to make it- oohhh scary!!! I love the Nina style! I’m a huge fan of the maxi dress but think that a maxi skirt might be just the thing to add to my wardrobe. Loving the latest Offspring episodes! Not sure I’m a fan of the maxi skirt. As much as I love nina, I don’t find them at all flattering! I dont need anything that accentuates my problem areas! The fabric is lovely though. Her drunk scene made me laugh so hard! I do however absolutely love her d co Copenhagen boots she has been wearing!! I don’t agree that it accentuates your problem areas, I actually feel that it hides my larger thighs- and quite flattering. I do love the boots- but cant wear a heal as I don’t need more height!! I meant they are unflattering on me! And dare I say … Nina! She looks lovely but they do hide her lovely figure. That’s the beauty of fashion, what doesn’t suit one shape will suit another. I’m addicted to Offspring – mainly because I live her clothes so much! Great maxi.